A Secure and Promising Investment ,With over ten million people, Bangkok offers a host of opportunities. It offers a touch of modernity and still retains Thailand’s culture, featuring shrines and waterways on which boats float elegantly. The community is also very robust as there are tourists from all walks of life visiting all year round to behold the spectacular city. The bustling city has a good cash flow, and it helps to have a permanent aboard for living or working to exploit these opportunities. This is why you need to purchase Bangkok property for sale and stake claim to the opportunities in the city. Bangkok’s property market is full of all types of property that include commercial property, apartments, condos, and bungalows, just to mention a few. What’s more, the development of technology and architecture means that the property meets all the safety requirements and is aesthetically pleasing. As such, you are guaranteed to find one that suits your needs perfectly. View a wide range of Bangkok property for sale and choose one that pleases you. Each property will offer something unique, and you will definitely find one that suits you perfectly. 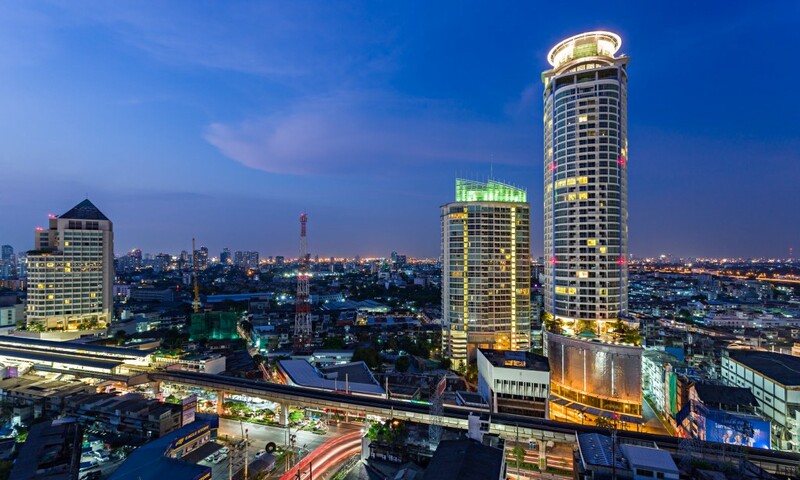 Bangkok is a thriving city that plays a major economic and political role in the region. However, contrary to what you would expect, property here is priced fairly. Prices are not exorbitant, and one is guaranteed value for their money. If you wish to purchase residential property, the enjoyable city life will be very rewarding. If you have your eyes set on commercial property, the thriving economy will guarantee you handsome returns on investment. Purchasing property in Bangkok is the best way to stake a claim on the city. It is an investment worth making, and you are assured of your investments safety. The city enjoys political stability, and ownership of the property is proven through deeds and agreements. What’s more, the economy is always improving, and the city’s population and infrastructure is expanding at a fast pace. As such, you can make valid long-term plans for your property and achieve them. Your investment will always be secure. What’s more, the value of property is expected to rise as the city grows, and you are assured great returns on investment if you ever decide to sell the property in the future. Bangkok has an impressive setting. The city has been able to keep up with modern infrastructure and city settings despite the numerous shrines and temples preserved earnestly. Making your way around the city is quick and easy, and this implies quick and easy accessibility to your property. For commercial property, this boosts business as customers are able to find you easily. For residential property, on the other hand, getting to and from home becomes easy and fast. Bangkok is a great place to live or to do business. A piece of property makes this possible and opens the door to numerous opportunities available in the bustling city. Check out Bangkok’s real estate industry to see the different Bangkok property for sale. Grab a piece of this great city for yourself and enjoy the numerous benefits within.